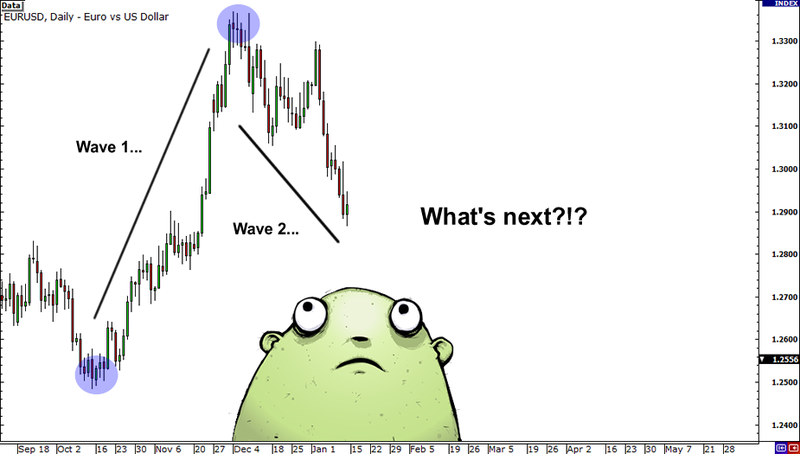 Let’s say you wanted to begin your wave count. 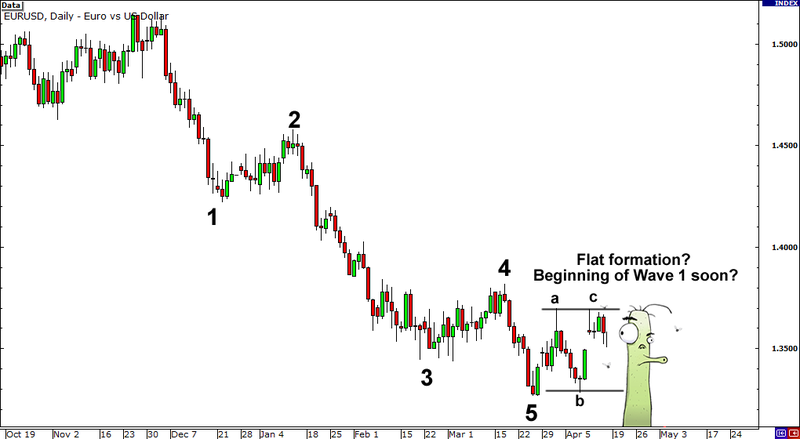 You see that price seems to have bottomed out and has began a new move upwards. 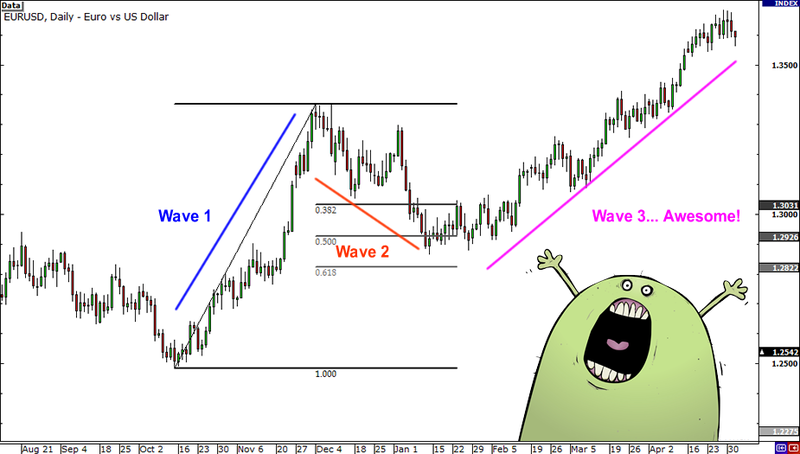 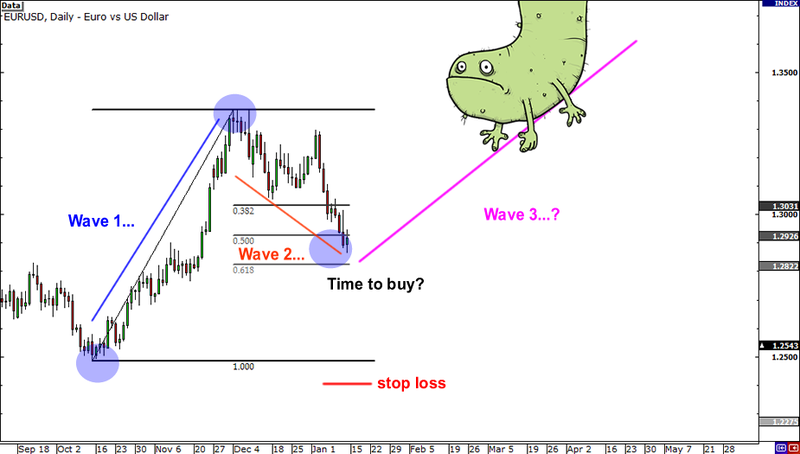 Using your knowledge of Elliott Wave, you label this move up as Wave 1 and the retracement as Wave 2. 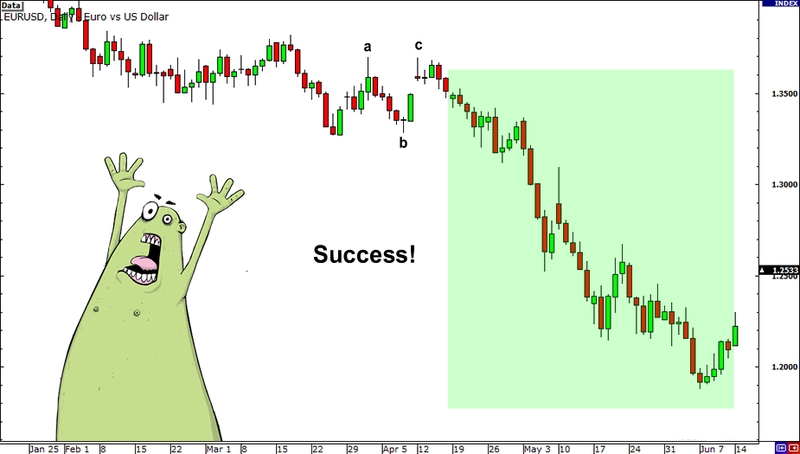 Your Elliott Wave analysis paid off and you caught a huge upward move! 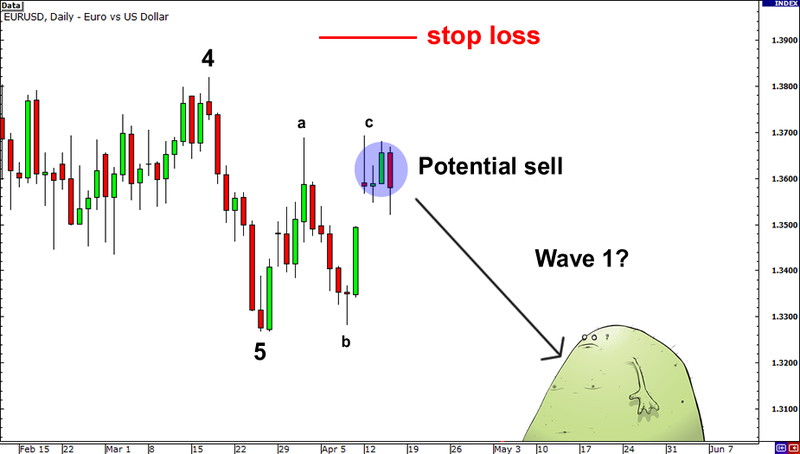 You go to Las Vegas (or Macau), overconfident that everything you touch is a winner, blow all your forex profits on roulette, and end right back where you started.